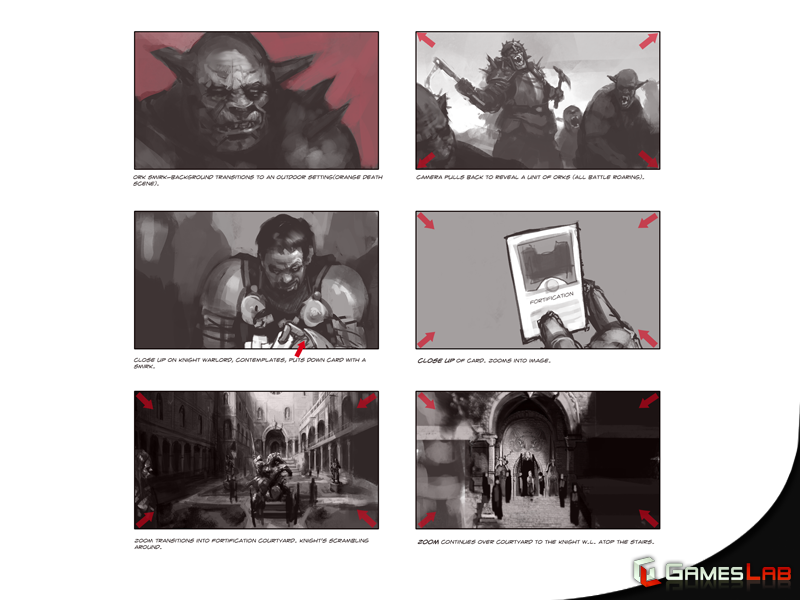 Games Lab's art department have experience in storyboarding for software, interactive media, graphic novels and game cinematics. We can work at any level of detail, from B&W cartoon sketch to full-colour 3D, with as much or as little detail as our clients wish to provide. 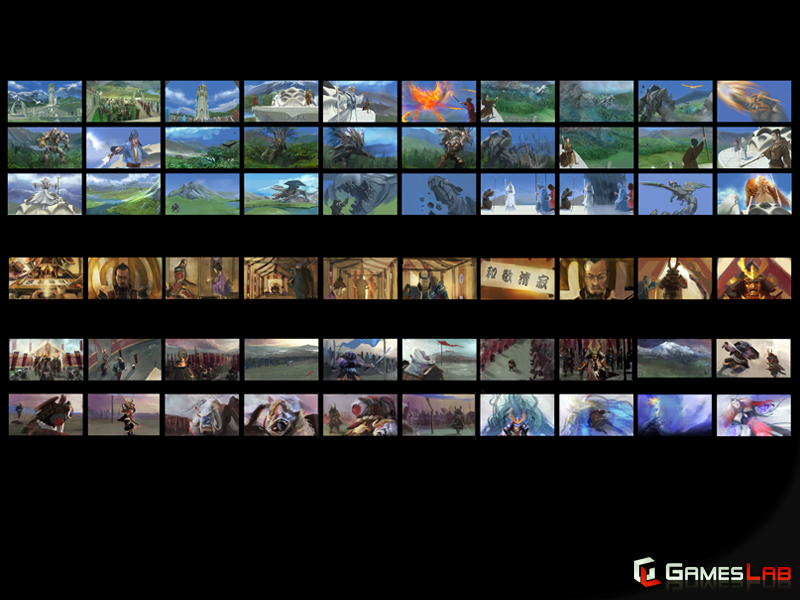 Shown in this gallery are a series of cinematic storyboards for an upcoming Games Lab project.